An oil and gas valve controls the flow of a fluid by starting, stopping or throttling it, while partially obstructing various passageways. A gate valve is a type of valve, used for straight-line flow and minimum restriction. Through the opening and closing of their round gate, valves stop or permit the fluid flow. 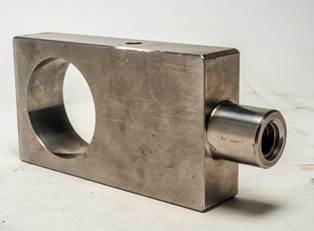 Setforge, the forging subsidiary of Farinia Group, manufactures strong and durable gates for all types of oil and gas valves. Farinia stays for precision manufacturing and highly dependable parts. All our components are internationally recognized for their flawless performance.